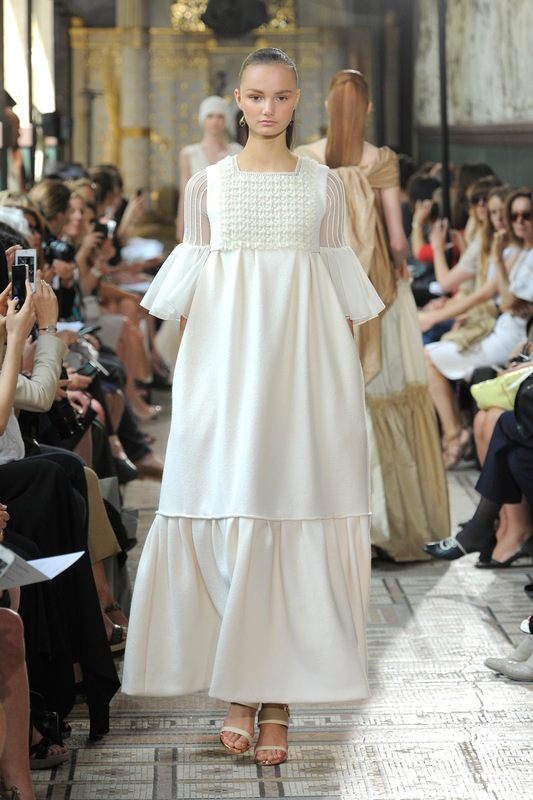 The first look of Christophe Josse haute couture was not about the dress. It was the model. Asian model. And seeing Asian model opening the show would have been a hint that the couture odyssey this time would take us to the far east. The oriental-styled multi-layer lace on a bodice of the dress, with a little lace accent on the sleeve edge, the Mongolian fringe large scarf combined with sequined long skirt, all in cream white, and for the most blatant proof, was the Buddhist prayer beads as necklace. Even though the quantity of the beads is not 108 (like the real one), maybe a little around 120, it was enough to remind us to Buddhist monks and their simplicity in dressing. Christophe Josse reflected the spirit on the soft brick-brown one-shoulder dress (he should have made it the right side open, to really make it like the monks). 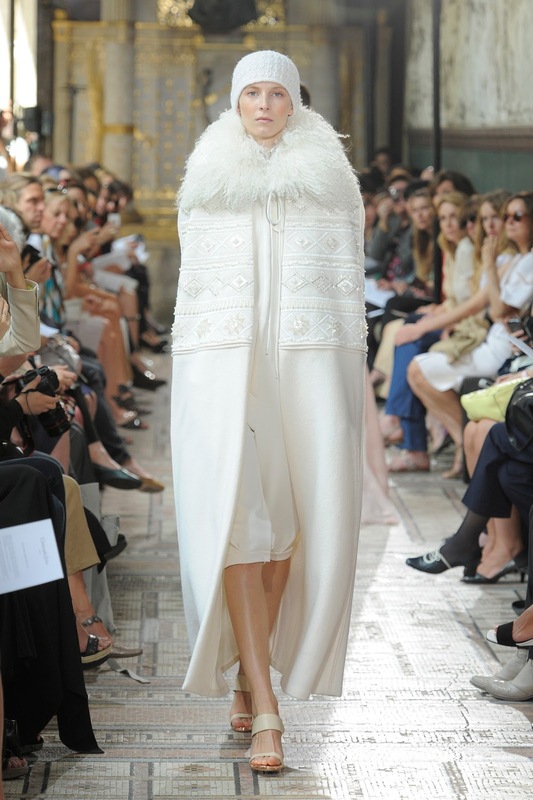 The bone-white cocoon coat, with fur neck trimming reminded me of the silk cocoon, which is the source to produce the silk fabric. The collection is such a good reflection of purity. It's beautiful.